The City of Fremantle has unveiled plans to revitalise its annual calendar of events, including a major celebration of the Port City's wonders in winter. Under a proposal approved by Council last week, the City’s events calendar will be reshaped to generate more tourism, deliver further support to local businesses, increase participation and consolidate Freo as a centre for arts and culture. It's a plan that has been welcomed by Fremantle Chamber of Commerce CEO Olwyn Williams. Tom Fisher, manager of iconic music venue Clancys Fish Pub, said it shaped to be great for artists and musicians as well. Community involvement, a key feature of the Fremantle festival program over the years, will continue to be a major focus. The City will be working with local groups and organisations to look at ideas for activities and events in this year's, and next year's, program. The most significant development will be repositioning the Fremantle Festival as a major winter festival. Following this year's event, which will again be held in October, it will move to a new timeslot in July 2019. The Heritage Festival will also be moved next year to lift its profile to a national level. 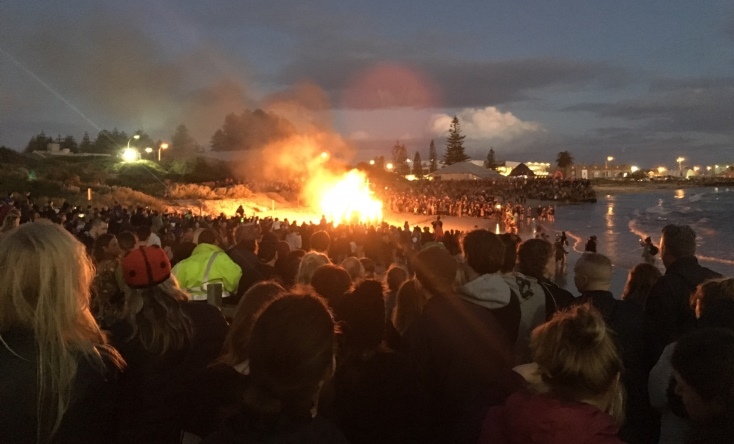 Fremantle Mayor Brad Pettitt said the initiatives built on the increasing profile and success of City events over recent years and sought to consolidate Freo as a year-round cultural destination. He said the winter festival would allow Fremantle to create a celebration that stood alone on Perth's event calendar. “The Fremantle International Street Arts Festival over Easter is the biggest in Australia, attracting 150,000 people last year and similar crowds again this year, while last year’s Fremantle Festival featuring High Tide and the amazing Arc d’Ellipses installation was a huge success. “But we have found that the festival circuit is pretty crowded throughout spring and summer and there’s a lot of competition for crowds and quality performers. “Winter is usually a quieter time for our traders and hospitality sector, so an iconic festival in Freo at the toughest time of the year would be a great boost for local businesses. “The success of City of Fremantle’s Hidden Treasures Winter Music Series shows that the right events can draw people out of their winter hibernation, and Fremantle’s intimate spaces and cosy corners make it an ideal place for a winter festival," Mayor Pettitt said. The winter festival will seek to make the most of the city's rich history and features and showcase its legacy as a port town with all its nooks and crannies, using light, colour and music to warm up winter. It will cover a range of genres including visual arts, theatre and dance, plus a huge community celebration. Hidden Treasures will remain as the core contemporary local music program in Fremantle Festival. The Blessing of the Fleet will continue to be held on its traditional dates at the end of October, as will the Wardarnji celebration of Noongar dance. The much-loved Fremantle Folk Festival and High Street Long Table Dinner will also continue in November and December. The Fremantle Biennale High Tide will be in November and the Heritage Festival will be timed to coincide with the month-long National Heritage Festival in April-May. To accommodate the transition to winter in 2019, this year’s Fremantle Festival will be held over three days from 26-28 October. The revised format will help to pave the way for the changes to come but will continue to feature a strong community focus. For a more information about festivals and events in Fremantle visit the Fremantle story website. "I think the concept of moving the Fremantle Festival to July is a good one. It should help provide a healthy boost for business at a time when it is most needed, and opens up all sorts of possibilities to create a unique Freo event." "Having a major Fremantle festival in winter will be a great opportunity for Freo to again lead the way and own this new space in the festivals market. "It will also be a much-needed boon for artists and performers who traditionally struggle for work across the winter months." January: Falls Festival, One Day in Fremantle, Sunset Food Markets, Fremantle Art Centre (FAC) summer concert program. February: Laneways Festival, Sunset Food Markets, Sculpture at Bathers (every second year), Perth Festival events at FAC, FAC summer concert program. March: Sunset Food Markets, FAC autumn concert program. April: Fremantle International Street Arts Festival, Heritage Festival, Anzac Day, Revealed at FAC, FAC autumn concert program. May: May Day rally, FAC autumn concert program. July: Winterworld, NAIDOC week, Fremantle Festival (incorporating Hidden Treasures and Kraken). September: Maria SS Del Tindari procession, FAC spring concert program. October: Wardarnji Aboriginal Festival of Dance, Blessing of the Fleet, Little Italy, FAC spring concert program. November: Beer Festival, HighTide public art festival (every second year), Long Table Dinner, Sunset Food Markets, FAC spring concert program. December: Fremantle Folk Festival, Candlelight Carols, Bazaar at FAC, Sunset Food Markets, FAC summer concert program.